These are the top 10 beers in the world? Home / latest / These are the top 10 beers in the world? A disturbing study has just been released. 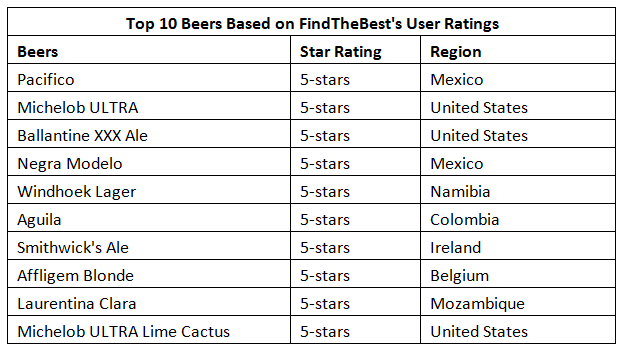 It comes from ‘Find The Best’ and they used consumer reviews to find the alleged Top Ten Beers in the World. “The most important quality of a beer is how it tastes. However, the experience of drinking a beer also involves several secondary elements, including appearance, smell and texture,” said FindTheBest CEO Kevin O’Connor. I am perplexed by this study … so I thought it would be good to ask people who I KNOW have good taste. What should the list have looked like?